The Irish Draught is often described as a descendent of Norman, Spanish Andalusian and possibly Arab bloodlines. Whatever its origins, in Ireland the horse developed into a unique breed. Originally sought by the armies of Europe for military use, the horse became the all purpose horse of the Irish countryside. While the Irish horse plowed the fields and pulled wagons, it was not truly a draft horse. It took the farmer and his family to church and market and was regularly ridden. 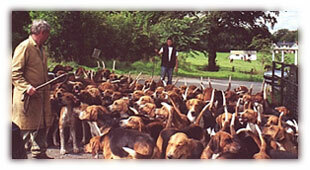 Of significant importance, it had to be able to take the owner on foxhunts in the fall. The horse had to be docile, strong and economical to keep. Its traditional winter feed was young gorse bushes chopped up, boiled turnips and grains that could be spared from the cows. The Irish Department of Agriculture started the studbook for the Irish Draught in the early 1900s. The first inspectors were very careful to exclude "cart horses" with heavy draft blood, like the Clydesdale and Percheron, but Thoroughbred blood was allowed. The studbook started with 51 stallions and 375 mares.  Today the studbook is maintained by Irish Horse Board and subsidiary breed societies outside of Ireland, including the Irish Draught Horse Society of North America. With only a few thousand purebreds throughout the world, the Irish Draught remains a rare breed. "The Irish Draught Horse is an active, short-shinned powerful horse with substance and quality. He is proud of bearing, deep of girth, and strong of back and quarters. Standing over a lot of ground, it has an exceptionally strong and sound constitution. It has an intelligent and gentle nature and is noted for its docility and sense. 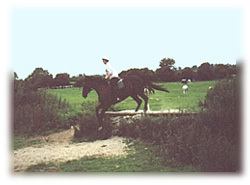 Height - stallions 15.3hh to 16.3hh approx. ; mares 15.1hh to 16.1hh aprox." While retaining the calm responsive nature required on the family farm, the Irish Draught has proven itself a superb athlete. Their elastic gait combined with strong limbs make them excellent candidates for a broad range of equine sports. Whether as a purebred or crossed with the Thoroughbred to create the Irish Sporthorse, the Irish horse excels at fox hunting, eventing, show jumping, dressage, driving, trail riding or any other equine athletic discipline. Their athletic ability makes them wonderful horses for competitive riders, and their sanity and gentle dispositions make them suitable for a beginner. The Thoroughbred blood in the Irish Sporthorse adds speed and refinement to the Irish Draught's stamina and strength. Yet, the Irish Sporthorse maintains the calm cooperative nature often lacking in other breeds that aspire to be world class competitors in equine athletic events. 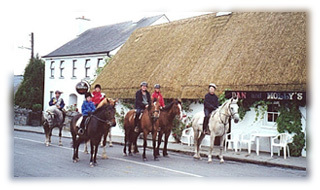 The accomplishments of the Irish Draught and Irish Sporthorse are well documented. 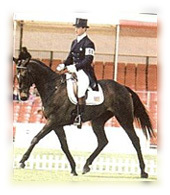 Whether as a gold medal winner in Olympic eventing in Sydney, a consistent top performer in world class show jumping, or as a high scoring dressage competitor, the Irish Horse performs. Follow the links provided and you will become convinced that these unique horses have proven themselves not only as top athletes but as intelligent sensible partners to those involved in equine events at all levels.